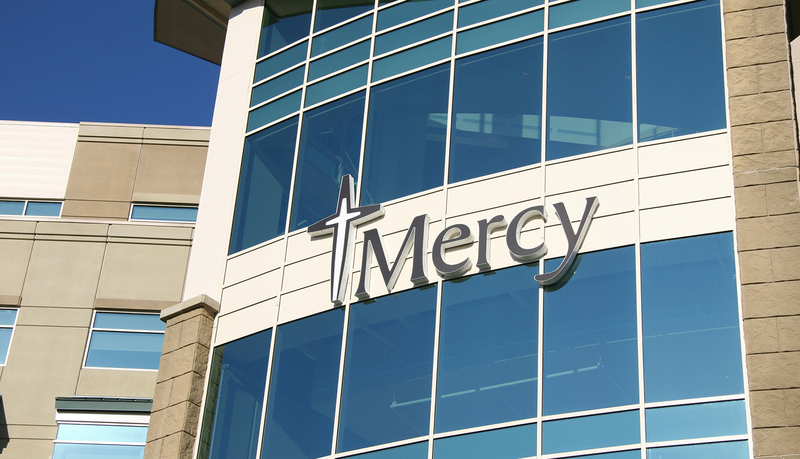 Founded in 1893, Mercy Medical Center has grown to a 917-bed acute care hospital located on three campuses in Des Moines, IA. 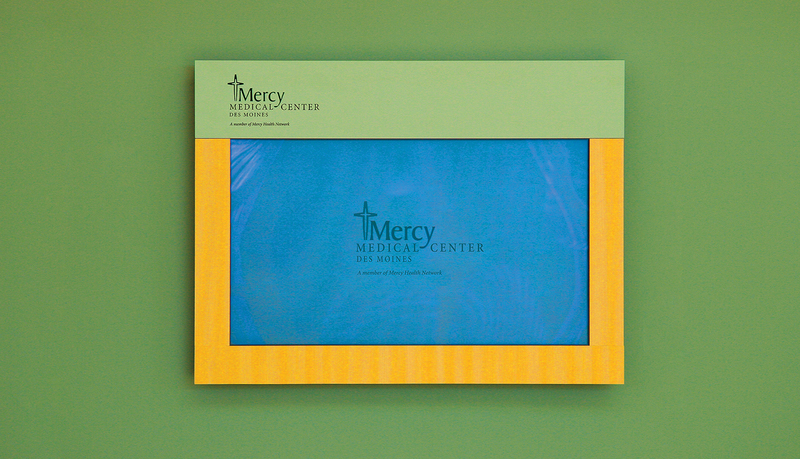 The center had recently unveiled “Mercy Momentum,” a comprehensive, multi-year plan to meet the growing health care needs of Central Iowa. 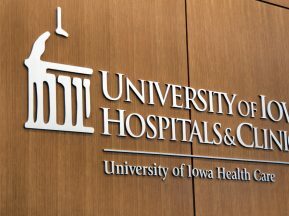 The most recent project completed was the East Tower, an $80 million expansion that houses state-of-the-art medical services in a modern atmosphere designed to improve patient privacy, accessibility and overall comfort for patients and their families. 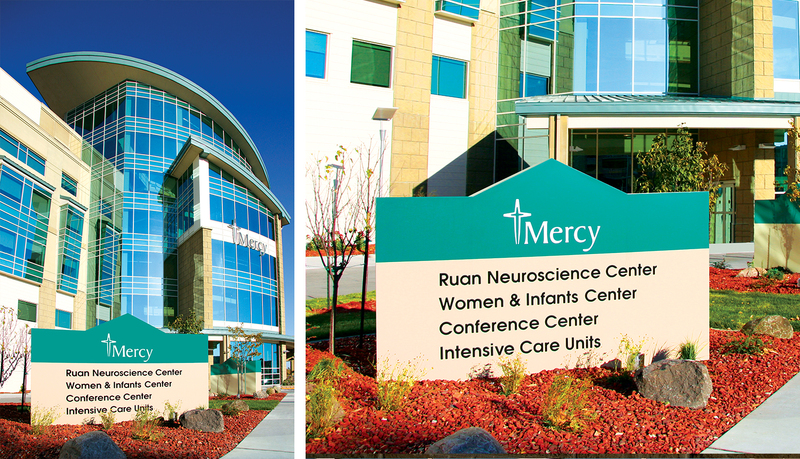 As part of the expansion, the center required a unique, dynamic signage solution that would seamlessly integrate into all the buildings – new and old – and grow with the center in the years to come. 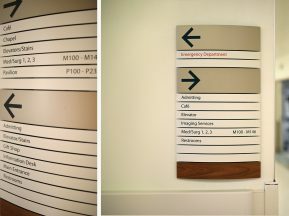 ASI created a complete signage solution for the East Tower that would stay within the hospital’s budget, meet project expectations and meet current ADA guidelines. 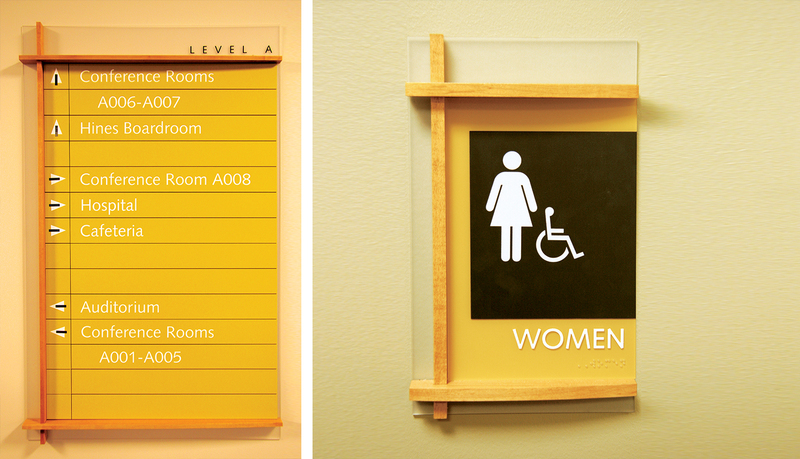 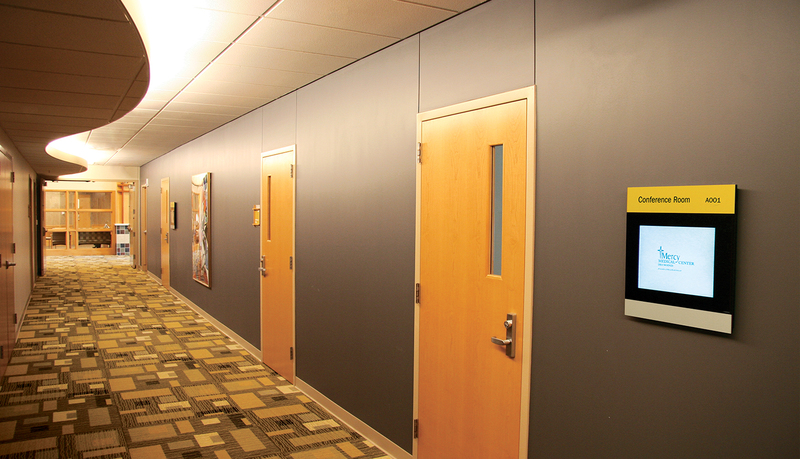 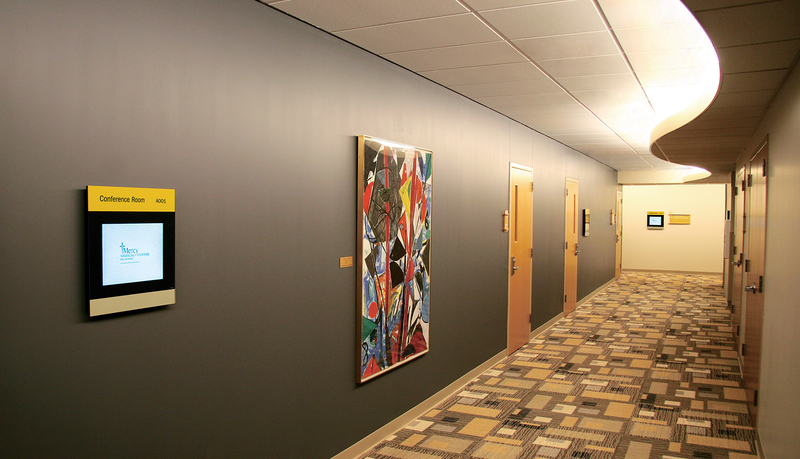 ASI consulted with interior design professionals to ensure the signage would complement the finishes in the new addition. 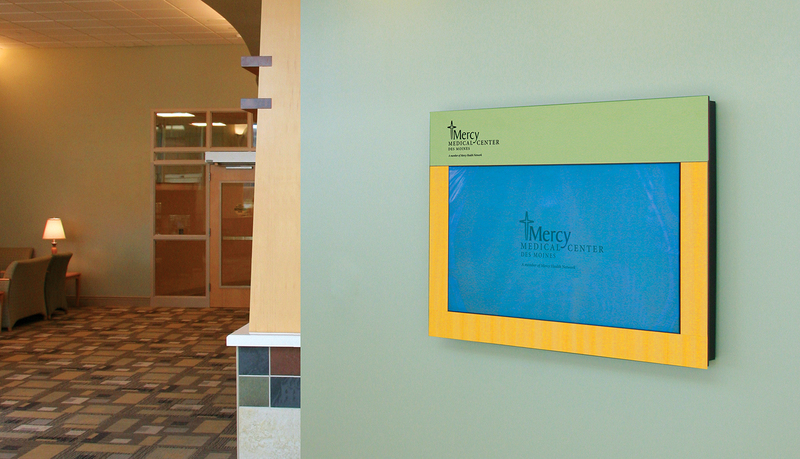 ASI provided a digital signage system to serve as the main signage system for the spacious state-of-the-art Mercy Conference Center. 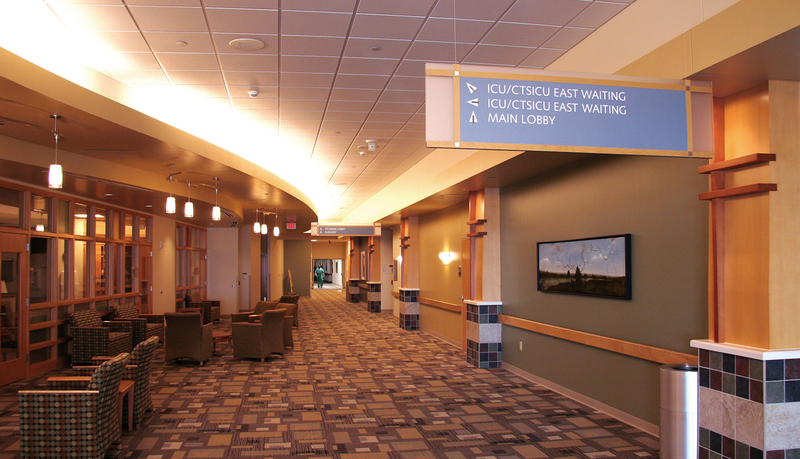 The system efficiently manages information and effectively communicates current and upcoming events to employees, physicians and community members visiting the conference area. 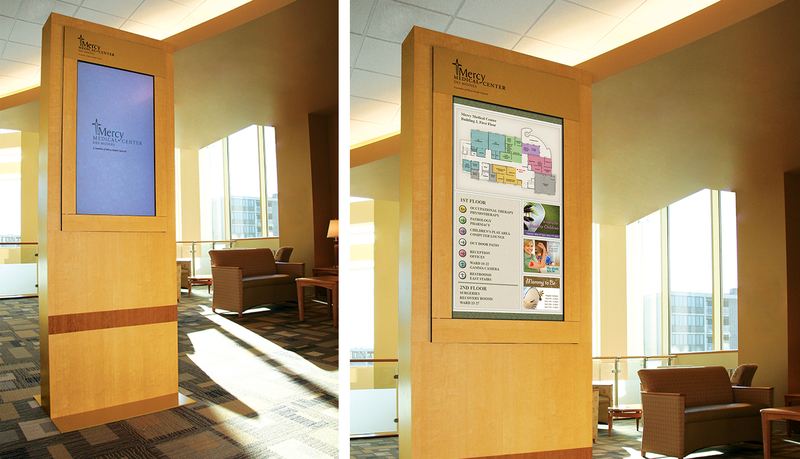 Infinity was chosen as the main interior wayfinding solution due to its elegant, modular design. 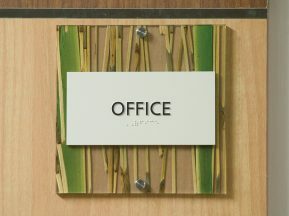 In addition, wood accents and digital imprints were used as identification for the functionality of key areas such as Pediatrics. 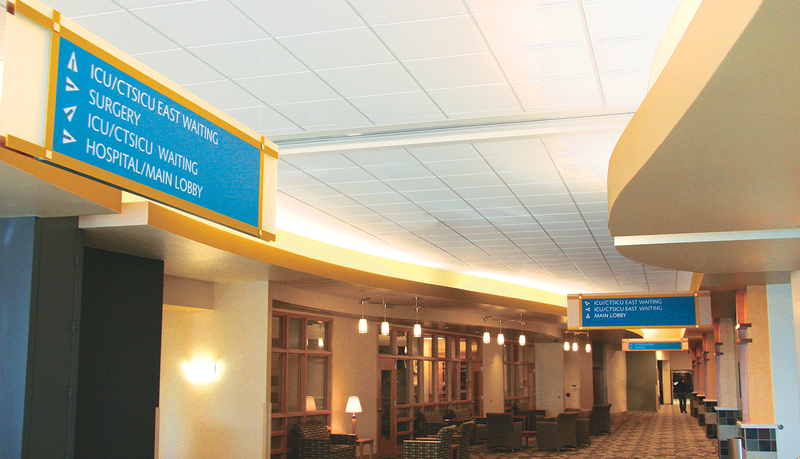 Infinity signs were fitted with updateable paperflex windows in key areas throughout this 249,000-square-foot, six story facility to evolve with the Center as office names and department services change. 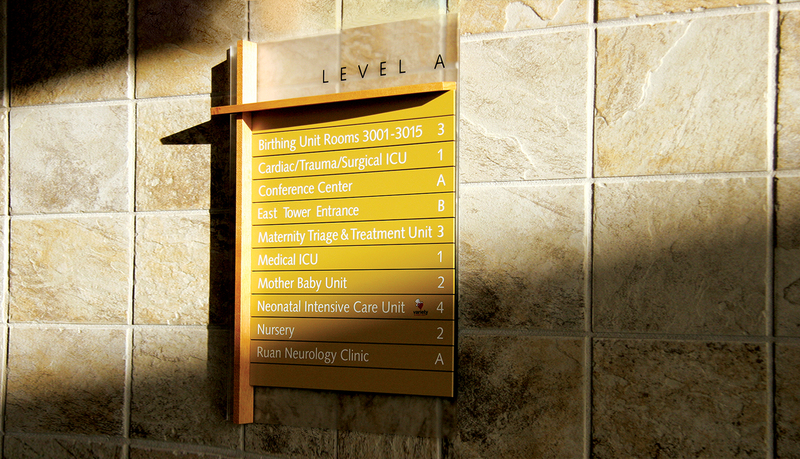 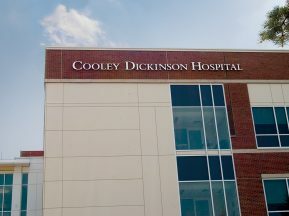 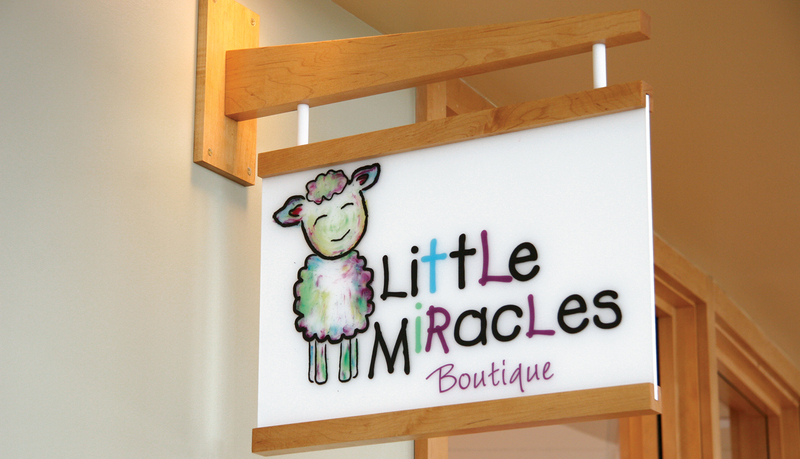 Custom exterior monument signage and dimensional lettering elegantly identifies the Center to patients and visitors and helps guide them to their destination.